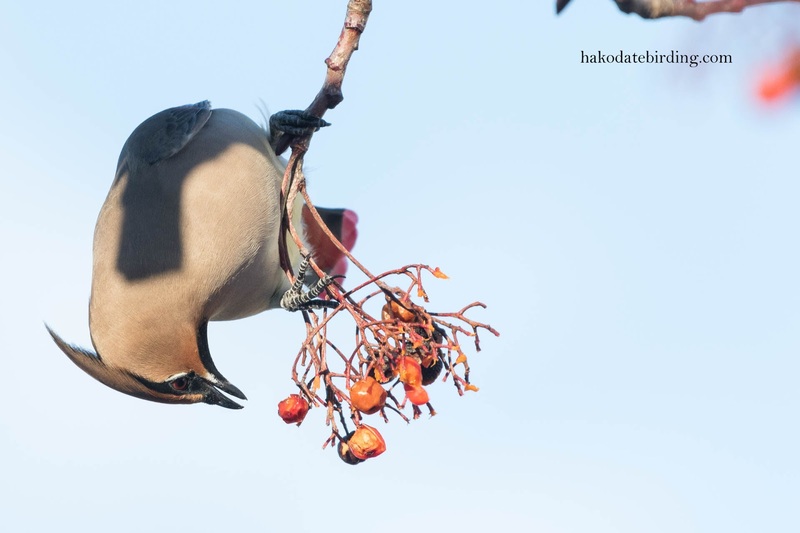 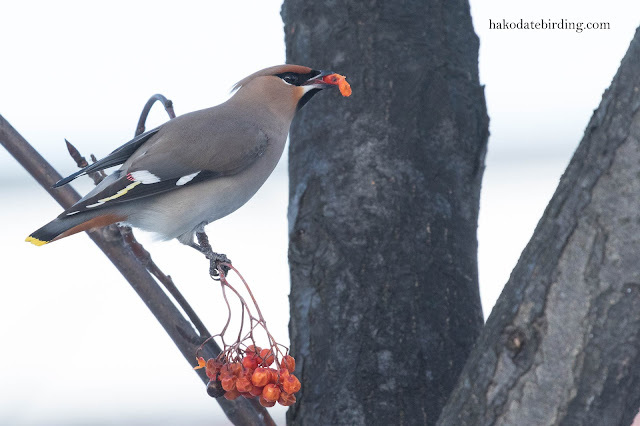 They were almost all Japanese Waxwing but there was at least 1 Bohemian Waxwing (among other differences the former has a red tip to its tail and the latter has a yellow tip). They were mainly on the shady side of a busy street and were very skittish so these are not particularly good photos. The street is lined with berry laden trees but is a busy main road and is difficult to dash across (and anyway the city Police HQ is also nearby, I've been stopped before whilst taking photos here) and it's impossible to predict which tree they'll swoop down on next. 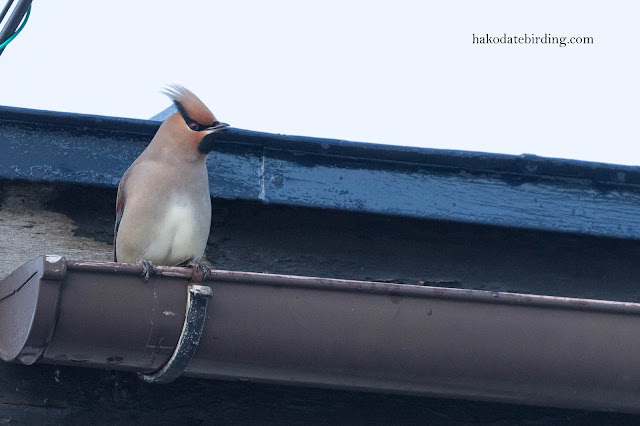 Other stuff around included Peregrine, Buzzard, Kingfisher, Hawfinch and Dusky Thrush. I couldn't relocate the Falcated Duck and the Great Egrets have either left or relocated to another section of thr river. 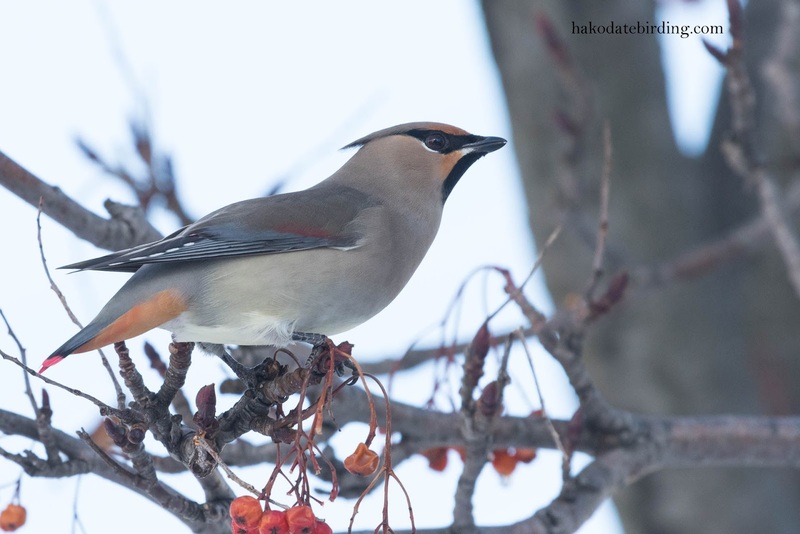 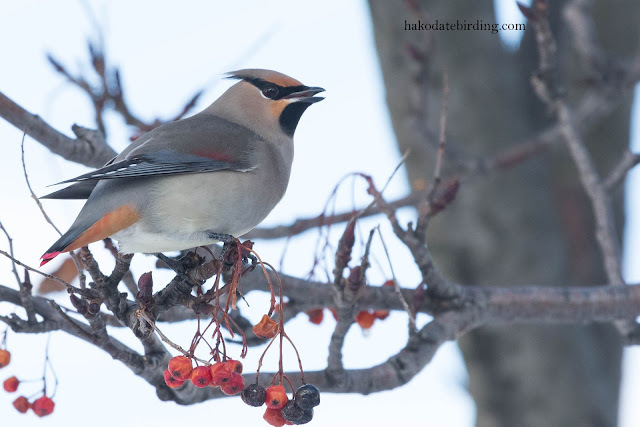 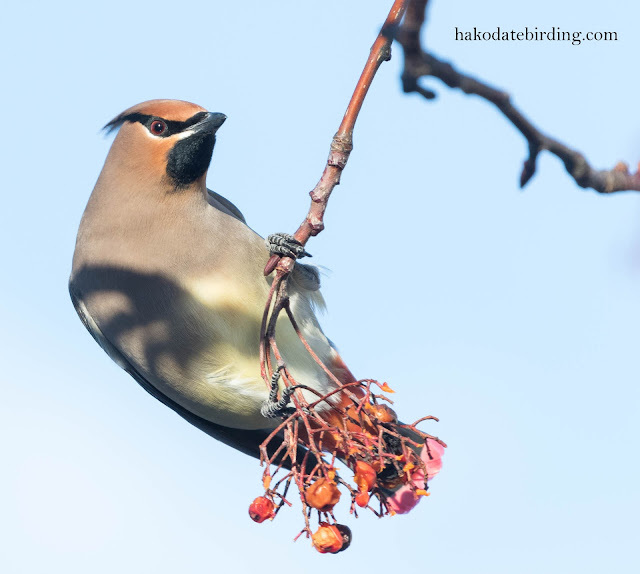 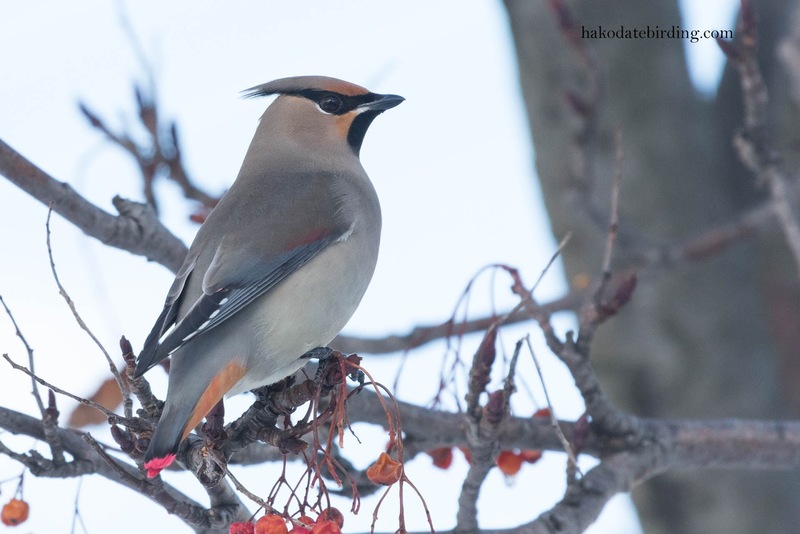 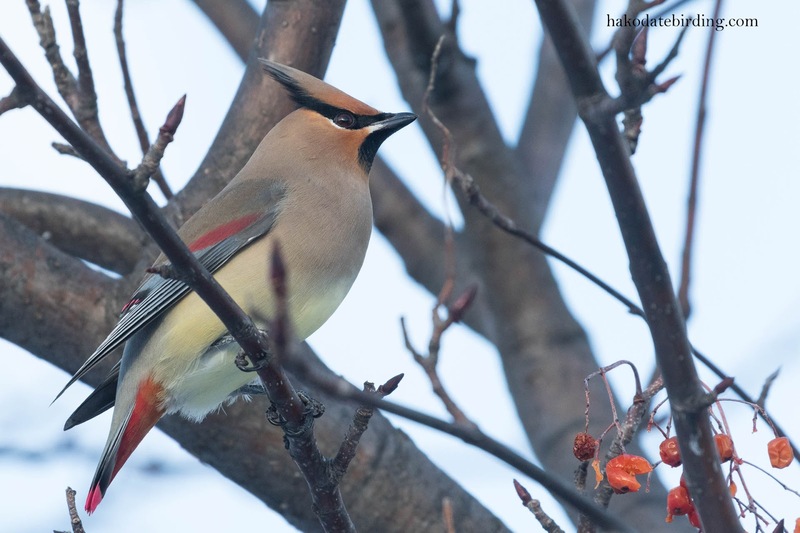 Any encounter with waxwings makes it a red letter day. 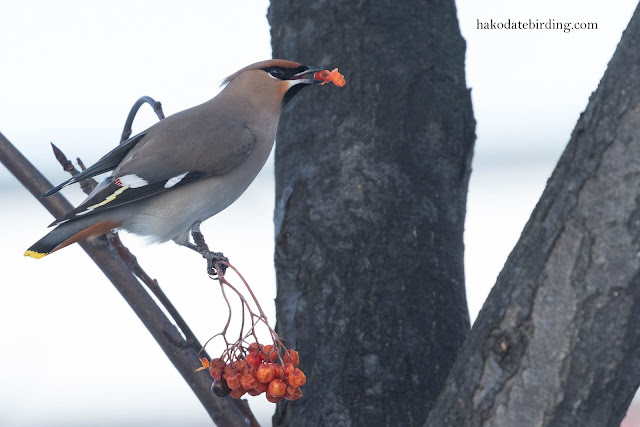 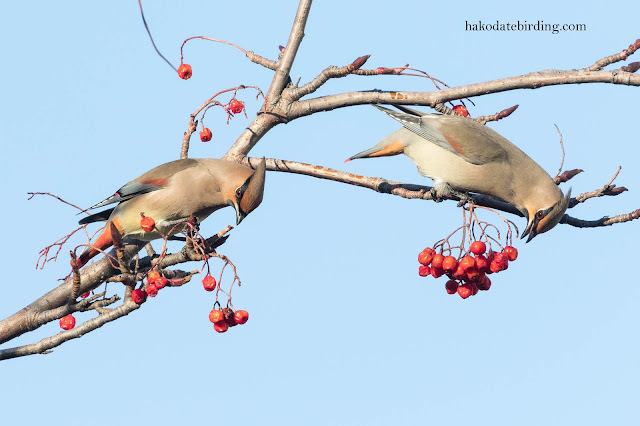 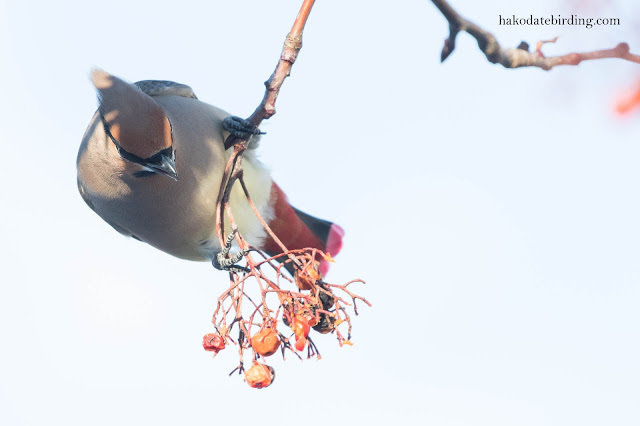 I always enjoy seeing Waxwing photos, and especially these since you were challenged in achieving them!